During his lifetime, Anatole de Baudot gained a reputation as a distinguished professor of architecture. But he is best remembered for his monument to modernity, the Saint-Jean de Montmartre church. 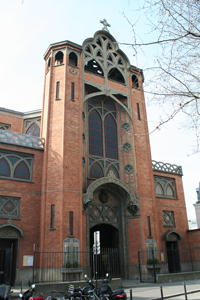 Baudot employed a new system of reinforced cement and brick to build this church, whose strength defied the expectations of city building inspectors. Read about this remarkable structure in this month's Paris Insights.